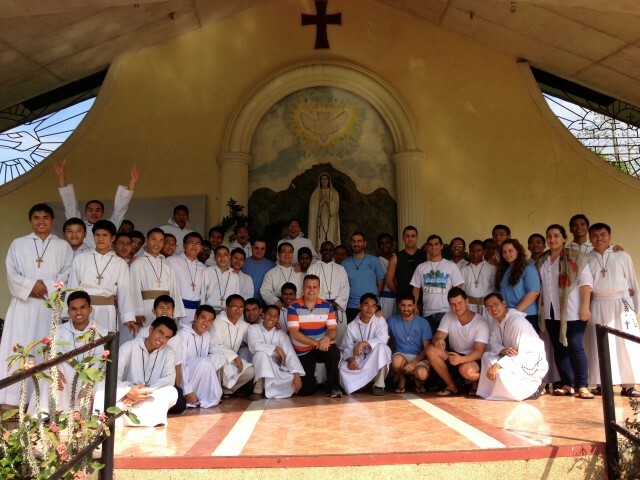 In 2013, a group of 9 parishioners from St Charbel’s Sydney travelled on a medical mission to Naga, Philippines. There, they provided food packs for 300 families, built a roof for an orphanage, built 2 houses for families living in the slums, and hosted a medical mission for over 1000 patients. This mission planted a seed in the missionaries’ hearts that would, upon their return to Sydney, Australia, grow to become Maronites on Mission Australia. A weekly food van outreach program to Woolloomooloo and Martin Place every Thursday, which caters for approximately 150 people. A weekly food van outreach program to Prince Alfred Park in Parramatta every Sunday afternoon, which caters for approximately 60 people. A home visit program providing companionship, food packs and support to struggling families on a weekly, fortnightly or monthly basis depending on the circumstances of the families. Overseas missions to help the poorest of the poor in the slums of Manila and Naga in the Philippines (in collaboration with the Missionaries of the Poor) and in Lebanon. We are proud of our Maronite heritage and, through our faith, we aim to live the Gospel and offer our help to those who need it the most regardless of their race, religious, or political affiliations.